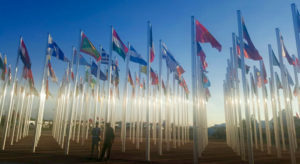 The 22nd Conference of the Parties of the United Nations Framework Convention on Climate Change (UNFCCC COP22), held in Marrakech in November, closed well within time with the Marrakech Action Proclamation, which was intended to “signal a shift towards a new era of implementation and action on climate and sustainable development”. The key outcome of the COP was to set a deadline of 2018 for the rulebook for the Paris Agreement. COP22 was intended as an “implementation COP”, with the focus being on the rulebook. Although the Agreement itself is considered to be a monumental achievement in the history of the negotiations, the procedures and modalities that are necessary for it to be effectively implemented and for countries to be monitored and evaluated on their contributions are not yet in place. Subsidiary bodies of the UNFCCC and meetings subsequent to COP21, where the Paris Agreement was adopted, were requested to develop the necessary modalities and procedures, or rulebook, and COP22 was meant to focus on these implementation matters. However, the early entry into force of the Paris Agreement coupled with international political happenings raised a number of new and unexpected matters and some concerns that needed to be addressed before progress could be made. On 04 November 2016, the Paris Agreement entered into force, having reached the threshold required on 05 October 2016, namely ratification by 55 per cent of Parties accounting for at least 55 per cent of global emissions. South Africa ratified the Agreement on 01 November 2016, and the Agreement therefore enters into force for our country on 01 December 2016. As of 28 November, 114 Parties have ratified, and most Parties have signed. UN Secretary General Ban Ki-moon said: “With the Paris Agreement and the 2030 Agenda for Sustainable Development, the world has the plans we need to make the shift to a low-emission, climate-resilient path….. We are the first generation to really feel the effects of climate change – and the last that can prevent its worst consequences”. Although the early entry into force was very welcome as an indication of the strong global momentum to implement the Paris Agreement, many countries felt that they were not yet prepared domestically for implementation of their voluntary contributions under the UNFCCC, the Nationally Determined Contributions (NDCs). The rulebook remains a key piece of work that must be completed before the Paris Agreement can be said to be able to become fully operational. For many, commitments cannot be met without finance and other support, and the discussions on how commitments to climate finance will be met are still on-going. Some countries are also still unable to ratify the Agreement until necessary domestic procedures are completed. The USA cast disproportionate anxiety over many attending the COP, this time because of statements by President elect Donald Trump during his election campaign that verged on denialism of climate change, as well as a plan he outlined to reduce his country’s contributions to addressing climate. This plan included withdrawing from the Paris Agreement and overturning current US climate change action plans. During the COP, many had hoped to hear reassurances from John Kerry, current US Secretary of State, that his country would continue to remain fully active in the climate negotiations and committed to the Paris Agreement, but the best that emerged was a statement of uncertainty. Anxiety about US involvement was expressed by many high level dignitaries, and although actual negotiations work continued as normal, it was thought by some that some matters were purposely deferred until there is clarity on future US involvement in the negotiations. Since the COP, media reports suggest that Trump may soften his campaign stance on climate change but there is as yet no certainty. Urmi Goswami of The Economic Times points out that economies and industries are shifting to low carbon technologies in acknowledgement of the need to address climate change, and the USA risks falling behind economically and technologically if it ignores the shift. For the most part, however, and despite the hype, during the COP countries continued to affirm and strengthen their commitments and action on addressing climate change through a number of different programmes, coalitions, and working groups. The African Renewable Energy Initiative, which aims to support development of 10 gigawatts of new renewable energy by 2020 and 300 gigawatts by 2030, received a contribution of EUR 6 million which will be used to establish its Delivery Unit. The Government of France signed the agreement with the African Development Bank, the host of the Initiative, just ahead of the official start of the Marrakech climate conference. The Initiative was launched just over a year ago at the Paris climate conference. The African Adaptation Initiative, like AREI, an African Group of Negotiators initiative, also showed progress at the COP. 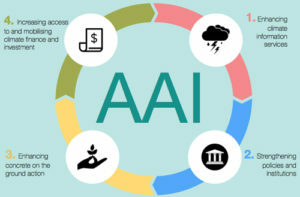 Following discussions over the course of the year, AAI has taken on a role in facilitating adaptation in Africa, through partnering with and supporting initiatives that are already planned or underway. It also aims to play a role in mobilising political and associated finance support. 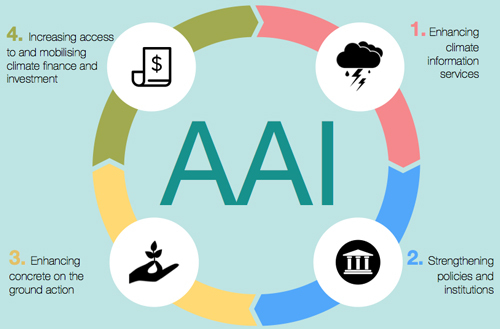 As AAI Coordinator, Kulthoum Omari, explained: “There are so many good adaptation initiatives, but what is really missing is a space to facilitate and understand how we can replicate and scale up, how we can do this in other regions and share lessons”. Over the course of the year a framework has been developed for the initiative, and this was launched at the COP. The Climate Vulnerable Forum (CVF), which is a grouping of 43 developing countries that are vulnerable to climate change, launched the CVF Vision, in which it commits to a number of actions to: limit climate change; take full advantage of opportunities presented; protect vulnerable people, indigenous groups, livelihoods, infrastructure, cultures, and ecosystems; ensure sustainable development; and achieve economic growth. Most significantly, it strives to achieve 100 per cent domestic renewable energy production “as rapidly as possible” and help member countries to “transform” energy, transport and other sectors. NDC’s will be updated “as early as possible before 2020”, and mid-century, long-term low carbon development strategies will be prepared, also as early as possible before 2020. The Vision also commits the CVF to monitor and report progress made collectively and by individual members. Germany also announced its plan to cut carbon emissions by 85 to 95 per cent by 2050 as part of its Klimaschutz 2050 plan, which sets specifics on reductions in each economic sector. The country intends to achieve emissions reduction of 55 per cent in the next 15 years. Currently, fossil fuel produced energy is still responsible for about 55 per cent of the country’s energy needs. Recognising that a low carbon pathway depends on participation and commitment from all sectors of government, members of the Under2 Coalition, which is made up of 136 sub-national governments across 32 countries, committed to reduce their carbon emissions by 80 to 95 per cent by 2050. The Coalition represents about 830 million people and a collective GDP of over USD 22 trillion. On an optimistic note, the Global Carbon Project reported that carbon emissions growth remained below 1 per cent in 2016, despite strong economic growth, which they say suggests a permanent deviation from the long term growth trend of global emissions. This year is the third in a row that shows almost no rise in emissions from burning fossil fuels and industrial processes. However, this still falls short of the reductions needed to limit global warming to well below 2 degrees Celsius. Because commitments to address climate change under the Paris Agreement are volunteered by countries rather than decided on a required-by-science basis, transparency is of high importance. Countries need to be able to monitor and report progress made on their NDCs so as to allow for accuracy and reliability in the UNFCCC global stocktakes, which are how global progress will be measured, starting in 2018. However many developing countries lack adequate capacity and face some challenges with accessing appropriate and relevant information. To address this, COP21 requested the Global Environment Facility (GEF) to establish a Capacity-Building Initiative for Transparency (CBIT) to support increased transparency and help improve monitoring and evaluation with respect to the commitments under the Paris Agreement. 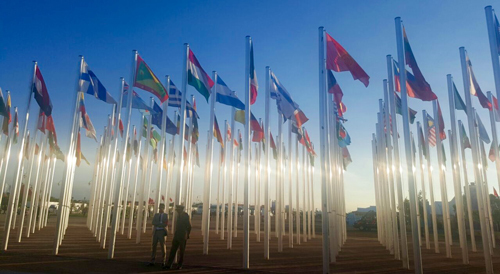 At COP22 the fund was launched, with GEF announcing that donors have already indicated interest in supporting the CBIT, and that requests for support from developing countries have already been received. Eleven countries have together pledged over USD 50 million, and projects have been approved in Costa Rica, Kenya and South Africa. The Marrakech Action Proclamation reaffirmed commitments already made under the Convention, including: raising ambition and strengthening cooperation to close the emissions gap; increasing volume, flow and access to finance, capacity and technology; developed country commitment to mobilise climate finance; and ratification of the second commitment period of the Kyoto Protocol.